Good old Aldi have done it again, bringing out a range of decent and inexpensive clobber at a time of year when you might find yourself in need of 'stuff'. The stuff in question is all aimed at campers, but would also serve those attending festivals just as well. We check out the new Aldi Camping Specialbuy Range, in stores from 4th June 2017. Adventuridge are Aldi's go-to camping people, with most of the items being made by them. 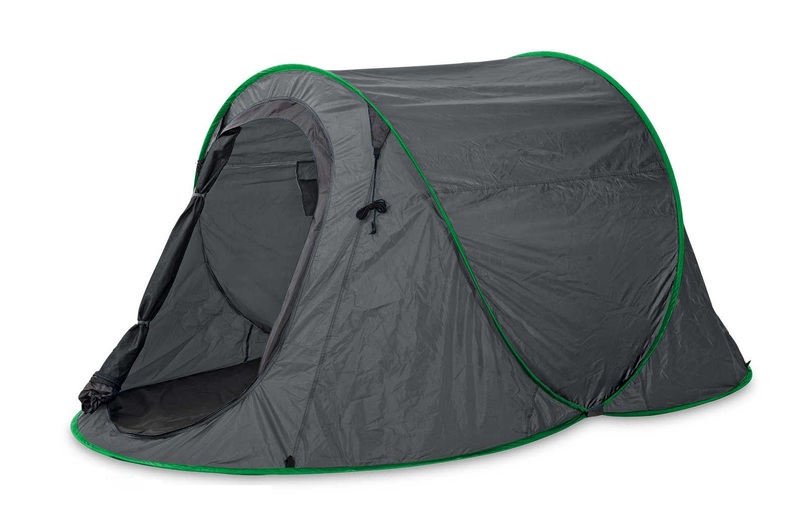 Included in this year's camping range is... a Pop Up Tent (£17.99), Wellies (£12.99), various Sleeping Bags (£6.99), a Tent Organiser (£4.99), a Festival Throw (£5.99), a Tipi Tent (£49.99), an Air Lounger (£17.99), a Mini Wind-break (£9.99), an Inflatable Chair (£12.99), and a 1L metal water bottle (£2.99). 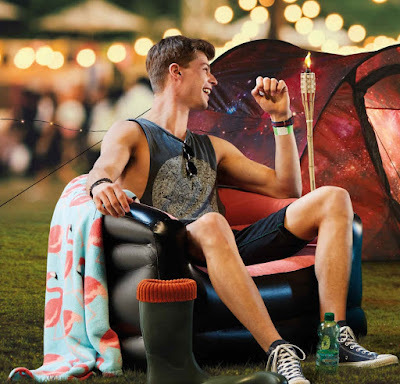 Aldi are pushing the fact that the range is perfect both for family campers, and festival goers, pointing out that, for less than fifty quid, you could kit yourself with the bare Glasto essentials like tent, sleeping bag, wellies, throw, and tent organiser. 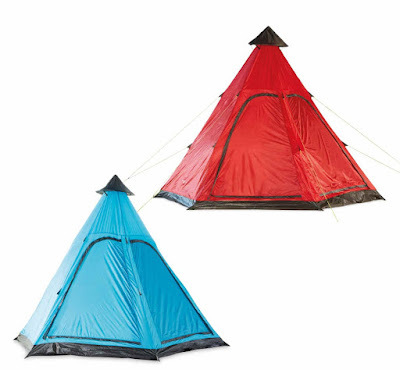 This two-person tent comes in a circular carry bag and includes pegs. When opening it you literally pull it from the bag, lob it in the air, and it pops opens ready to be secured to the ground. The 'popping' is quite spectacular and violent, meaning it only takes about half a second to put this thing up. Your mates fiddling with tent poles will be well jel. It is spacious inside, offering more than a enough room for two adults and all your baggage. There is a small hanging pocket on the inside for keys and phones etc., as well as a vent on the back to help keep it cool. As well as loops on the base to peg it to the ground, the tent also features four guy ropes for extra security. It's waterproof, well ventilated, and bloody convenient to erect. If you're a keen camper you'll know just how much you miss a decent seat if you forget to take any. 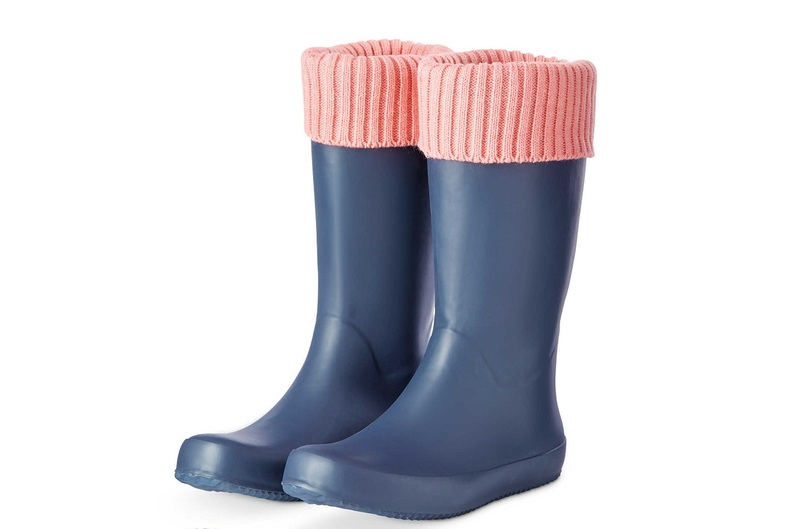 Yes, you can sit on the ground, but this is Britain for Christ's sake - it'll be soggy, won't it? However, if you've ever been put off from taking camp chairs because they're heavy and bulky, this inflatable effort should see you comfortably seated. 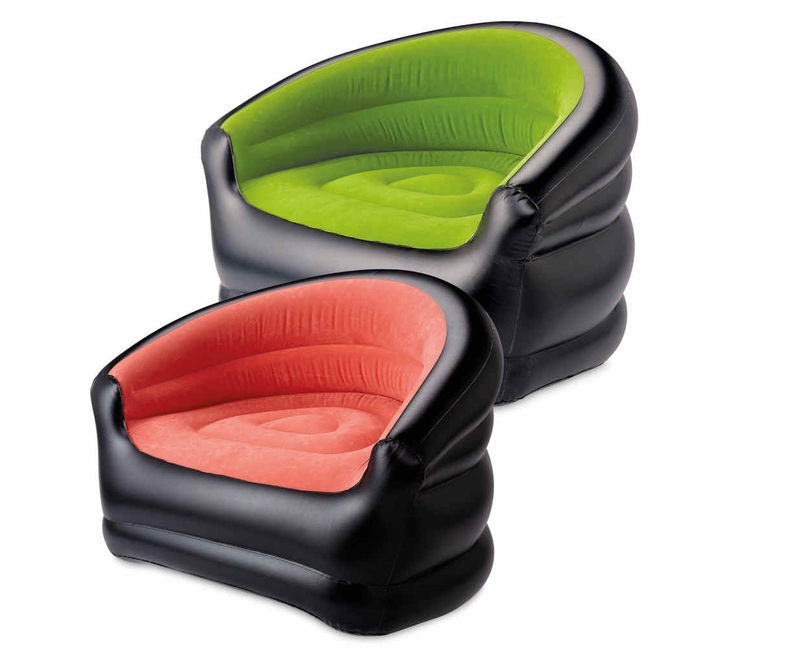 It inflates in just a minute or two (we used the same pump as we used on our inflatable mattresses), and features a flocked seating area for grip and comfort. It can comfortably accommodate a grown-up (or a couple of packed-in kiddos) and is great for either in the tent itself, or for outside around the barbecue. It offers a decent amount of support as well, and after being inflated for about four hours during the evening we noticed it hadn't deflated in any way. Nice. See more from the Aldi Camping Specialbuy Range at www.aldi.co.uk, or visit stores from 4th June, 2017.